Gannons helped enable a media talent agency to retain a key employee, by using share incentives, in the most tax efficient manner. Our client wanted to incentivise and retain a key employee. His role was to find media opportunities for the publishing and film industry. He possessed significant technical know-how and contacts within the industry. This constituted intellectual property – which our client required to maintain its competitive edge. Therefore, our client had to incentivise this employee to remain with the company in order to retain its competitive edge. Our client wanted our advice on which share incentives to offer and how best to implement that particular scheme. This case is a convergence of numerous areas in which we specialise. We have extensive expertise in the legal aspects of employment, corporate law, share valuation and tax. There are many good reasons to use share incentives in your business. Our client knew that equity incentives motivated and retained employees. Awarding equity incentives can make employees feel valued and that they have some control over the company’s direction and growth. Equity incentives also protect the company. This is because employees become less inclined to leave. Employees who leave a company can take their specialist technical knowledge acquired on the job to competitors. Additionally, these employees usually have knowledge of how best to get things done using the company’s systems, processes and people. Companies who lose employees risk strengthening their competitors, whilst becoming less efficient themselves. We discussed the many options for share incentives with our client. EMI options, the most common, were inappropriate. Our client wanted to award equity right now. In their view this employee had done enough to immediately receive dividends. This was not commercially attractive without putting any restrictions on the use of intellectual property like contacts, the database and trade secrets that the director was privy to. Plus, the award of shares carries unfavourable tax implications. Our client chose Employee Shareholder shares which carry substantial tax benefits. The employee must surrender some employment rights to receive these benefits, however, including statutory redundancy pay and unfair dismissal. With Employee Shareholder Shares, both employees and directors can receive up to £2,000 worth of shares in their employer’s parent company. These shares are free of income tax and national insurance. The capital gains tax on sale is exempt up to £100,000 if their shares were worth less than £50,000 when acquired. We agreed the unrestricted tax market value of the shares with HMRC. Then we prepared the legal documentation to comply with the HMRC legislation. Our client primarily wanted to retain this employee in order to protect their intellectual property. We drafted protective provisions for them to cover eventualities by which the employee would leave the company. We also created a formula for the share price based on the reason for his leaving. If he chose to leave or was summarily dismissed then he would receive nothing, as he would have to sell his shares to the company or other shareholders. If the company terminated his employment for reasons which would amount to a successful unfair dismissal claim then he would receive fair value for the shares. Post termination restrictions attaching to shares are generally easier to enforce and can be more far reaching than similar post termination restrictions included in employment agreements. Hence we advised our client that they would have to change their shareholders agreement to take advantage of this rule. We drafted non-competes for the shareholders’ agreement which meant that upon leaving the employee in his capacity as a former shareholder was restricted from setting up or joining a competing business, working with the company’s contacts, and representing its clients directly or indirectly for two years. 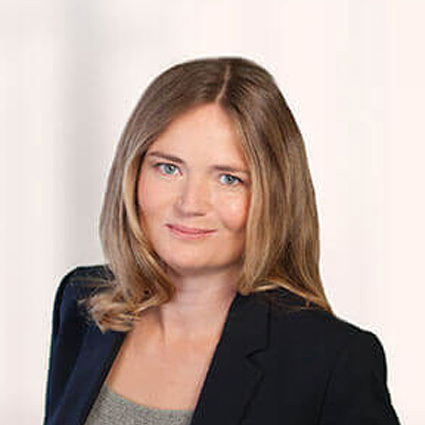 Helen Curtis regularly advises businesses based in the UK and overseas on the implementation of employee share plans. Helen has the skills to recommend the best ideas for companies at all stages of development from start up through to those nearing exit and businesses at the stages in between such as fundraising. It’s clear that they have a lot of expertise in these areas. Gannons were able to give us very clear and helpful advice.